Dr Anna Brooks is a Lecturer in the Department of Psychology and Co-director of the Laboratory of Perceptual Processing at Southern Cross University. Her primary research interests fall within the broad field of cognitive neuroscience and closing the perception/action loop. 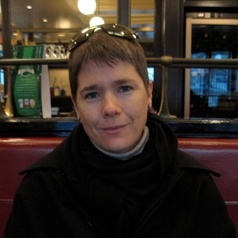 Current research projects in which she is involved include visual, auditory and multisensory processing of biological motion, empirical analyses of parenting programs and patient management techniques in the mental health sector.